Chennai : Cyclone Vardah, most intense in last two decades, claimed four lives, flattened homes, snapped power, communication lines and threw into disarry rail, road and air traffic as it crossed the coast in Tamil Nadu, pounding Chennai, Tiruvallur and Kanchipuram with heavy rain and squall. Over thousands were evacuated to relief camps before cyclone made landfall with winds over 150 KMPH. 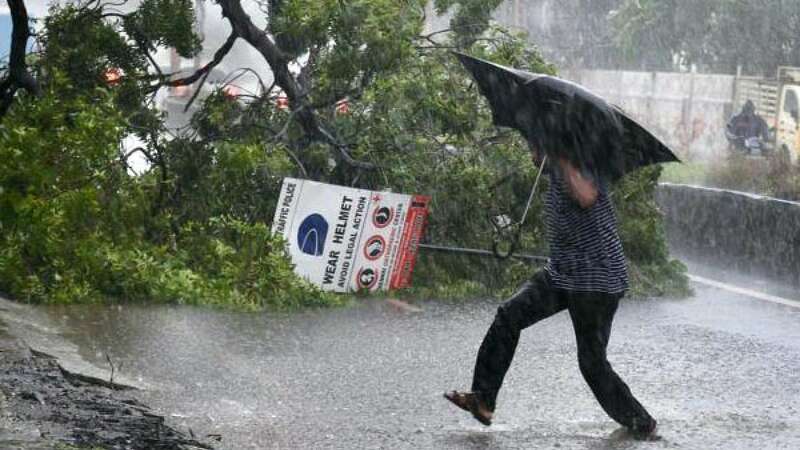 No major loss of life has been reported from Andhra Pradesh, but heavy rainfall kept it pouring. Home Minister Rajnath Singh spoke to Tamil Nadu chief minister and assured him all possible help from the Centre.